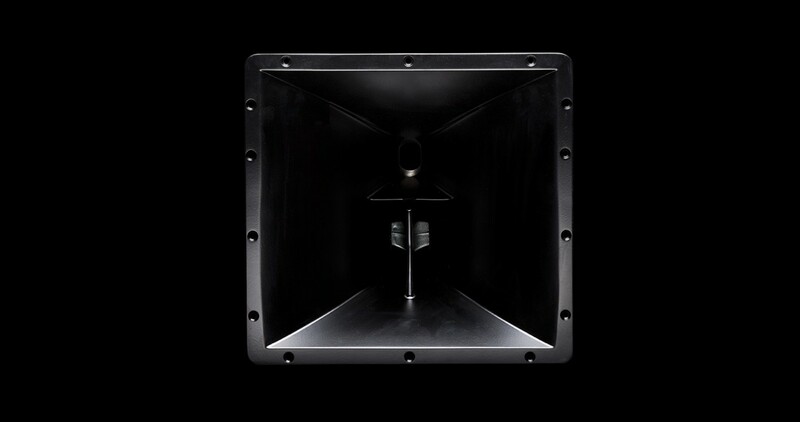 The VHD5.0 is a three‑way enclosure handling low mids, mids and highs over a frequency range from 45Hz through to 20kHz. It incorporates eight front‑loaded ten inch low mid drivers, six horn‑loaded eight inch mid range drivers and three 3“ NVPD (Nitrate Vapour Particle Deposition) Titanium compression drivers on a custom designed, manifold horn assembly with summing waveguide. 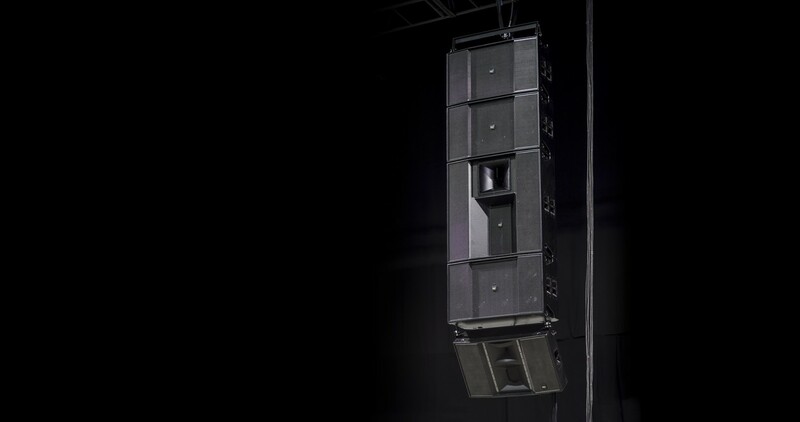 With the capacity to run full range down to 45Hz the VHD5.0 is usually crossed over at 70Hz to the VHD4.21 Active Sub Bass Modules. Both the VHD5.0 and VHD8.10 cabinets incorporate very simple to use integrated fly ware that links cabinets together quickly and easily. When multiple low mid drivers are arrayed on a single axis they sum providing a considerable increase in the amount of low mid energy present and available in the 200Hz to 500Hz range. A lot more energy is needed in this area than in the higher frequency ranges so this summing effect helps deliver headroom in the system and keeps the overall sound balanced. 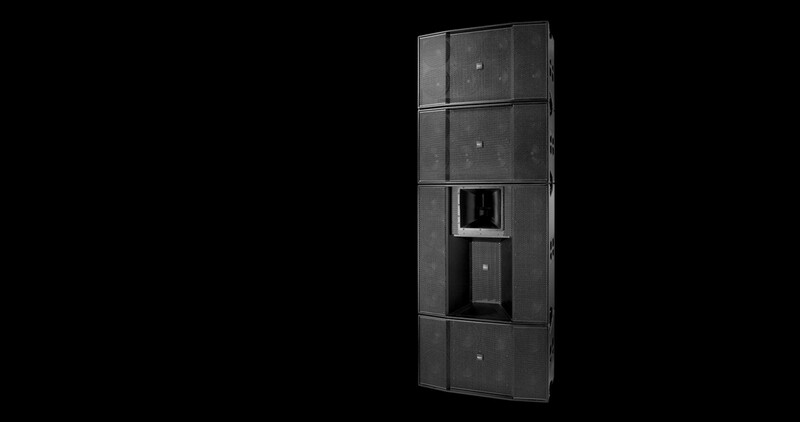 To provide the required energy in the low mid, needed to cover very large audiences KV2 developed the VHD8.10 Low Mid Expansion Box. 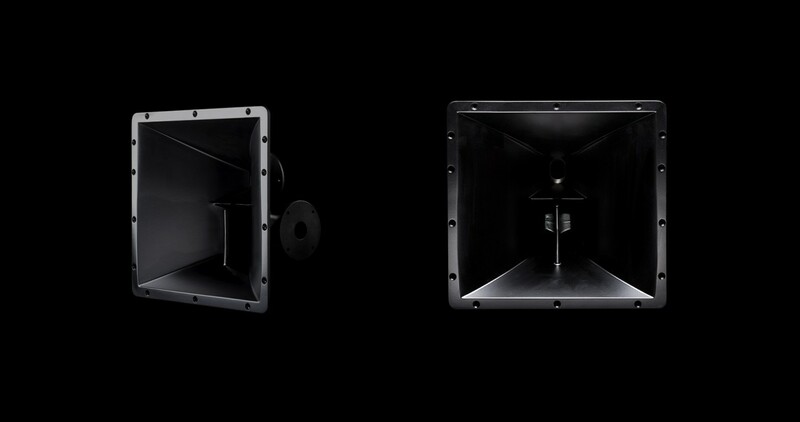 This enclosure carries a further 8 front‑loaded ten inch speakers and 3 of these cabinets are added to each VHD5. 0. 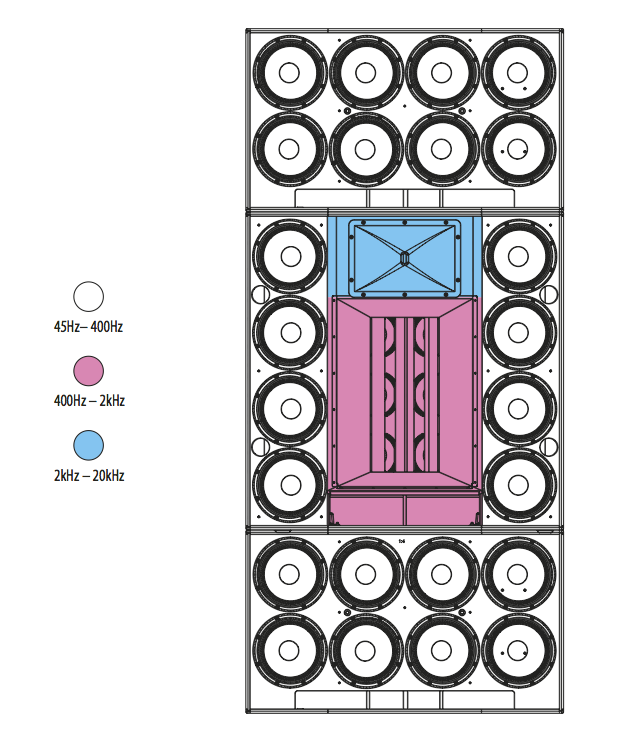 This provides a total of 32 ten inch speakers giving the extra headroom needed in the low mid band and extended projection of these frequencies over distance. 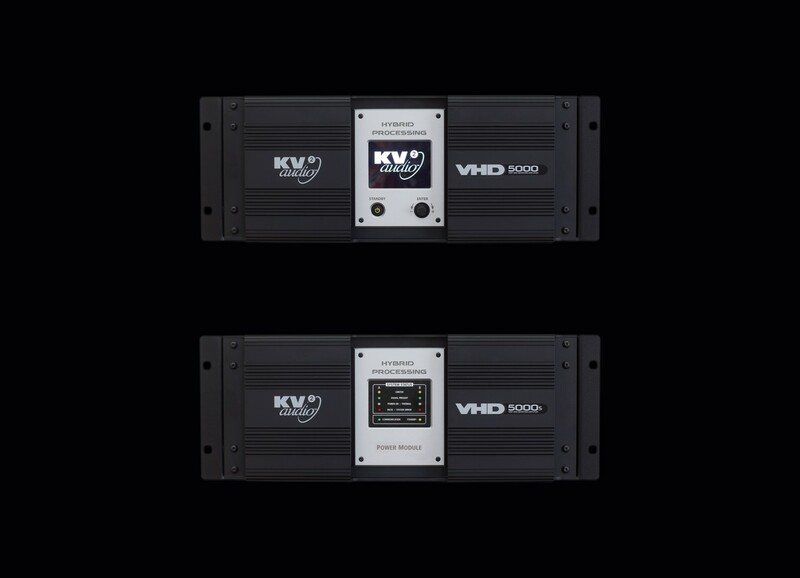 The VHD5000 amplifier controller contains two Class AB amplifiers totalling 900Watts for the high frequencies and a 1200Watt Class H amplifier for the mids. It also controls the VHD5000S which houses two 2500W Class G amplifers that power low mids in the system. 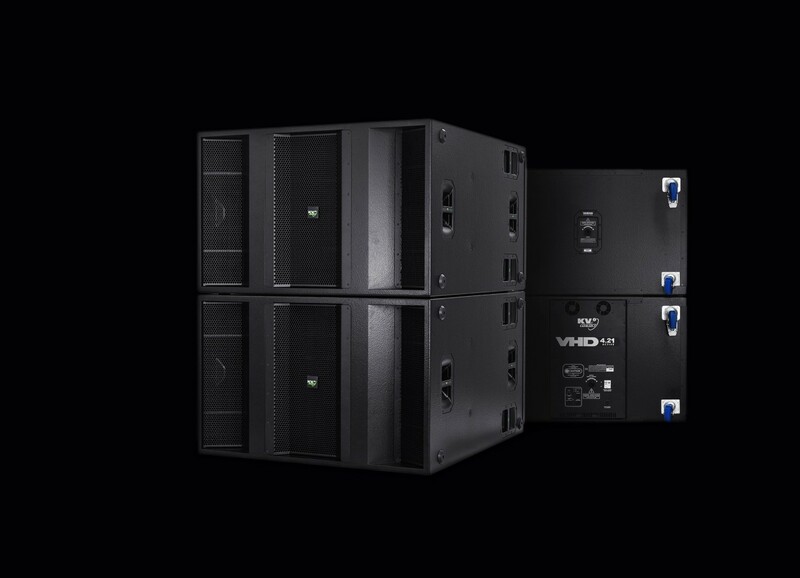 Outputs from the VHD5000 also feed KV2 SL3000 Amplifiers, driving SL412 cabinets for Downfill and Groundfill applications. The VHD 5000 incorporates state of the art hybrid processing via discrete ultra fast analog circuitry and our proprietary 20MHz PDM technology for all required filtering and time alignment. A front panel touch screen allows easy muting and level adjustment of the frequency bands and full adjustment of the digital delay lines and other parameters on board. Control can also be done remotely via Ethernet or Wi Fi. The VHD5000 is fully networkable allowing viewing and adjustment of all amplifiers and slaves from the one remote location. Onboard two 96Khz PCM delays are available to adjust the position of the subs or for creating cardoid sub patterns while two Very High Definition 20MHz PDM delays allow movement of the main system without the loss of resolution experienced when using much lower sampling rates. A harmonics restoration circuit is also built in and fully controllable from the touch screen. This adds back in harmonics lost through a digital sampling process earlier in the audio chain, such as losses caused by the internal processing of digital mixers. Full diagnostics show a number of parameters including impendance sensing, providing information in respect of any potential problems with the system’s components.